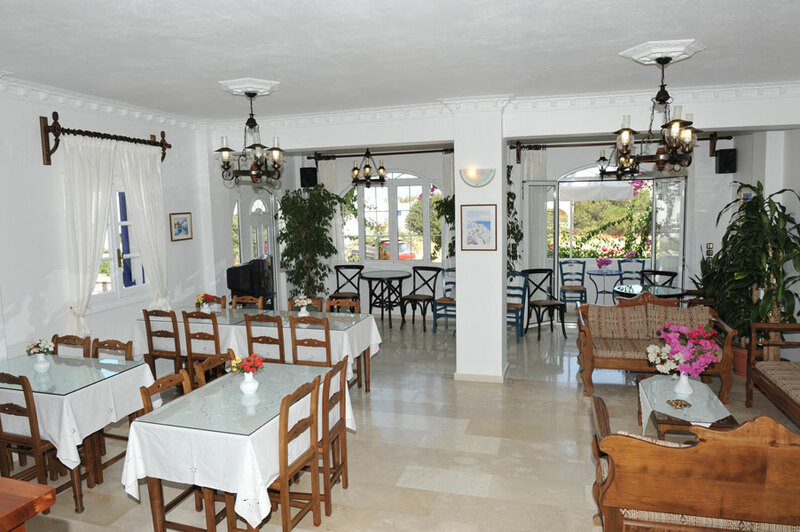 The hotel is located in the center of Kamari, 100m from the beach, 20m from the bus stop, in short distance to restaurants and supermarkets. 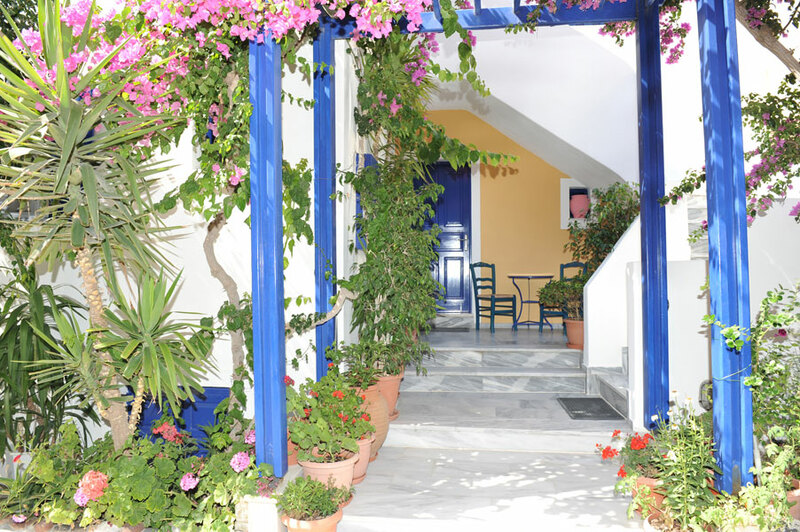 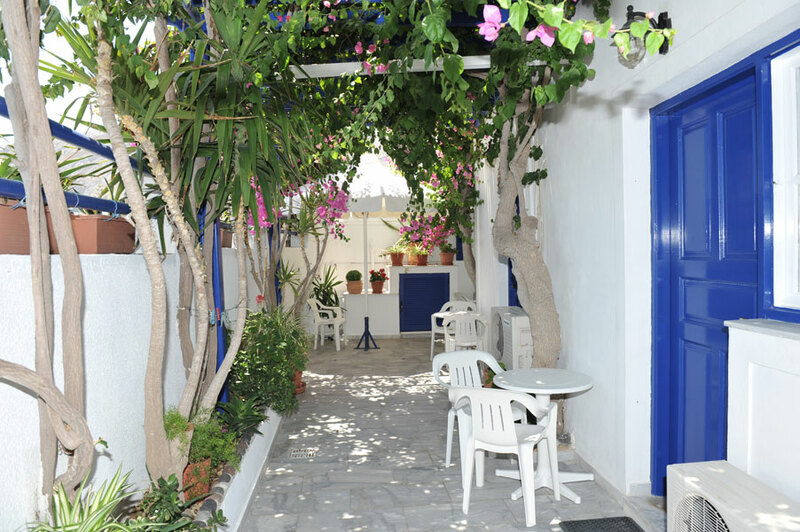 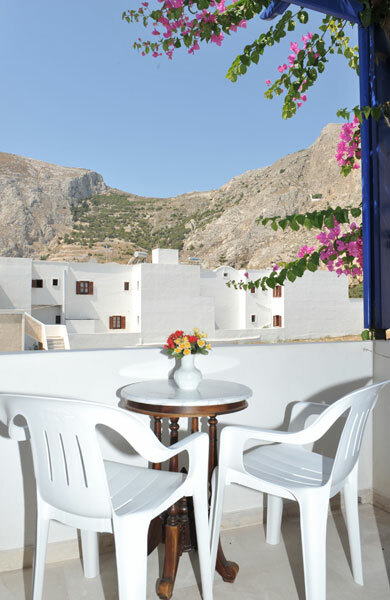 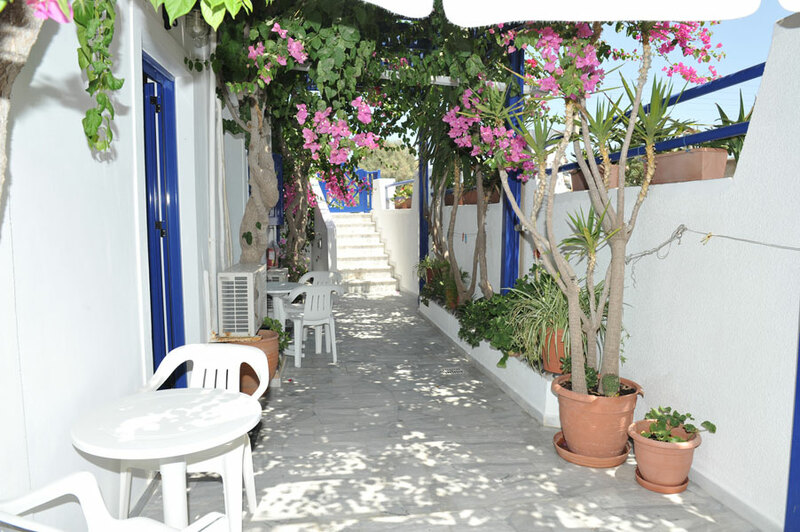 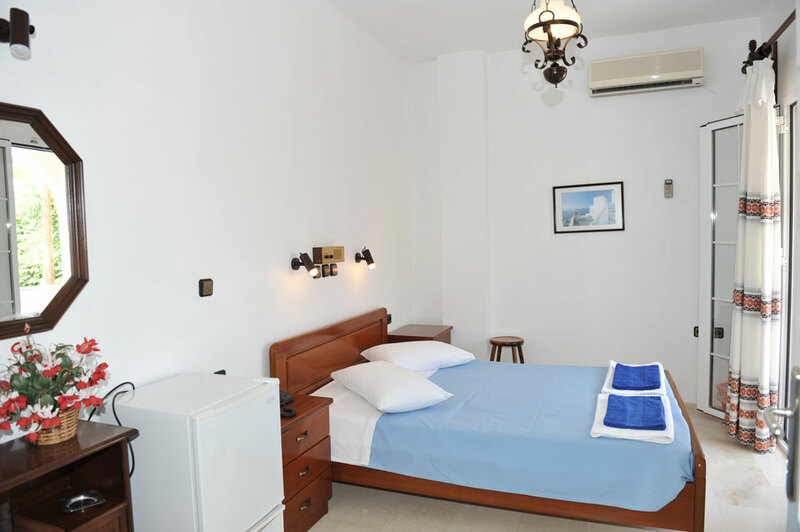 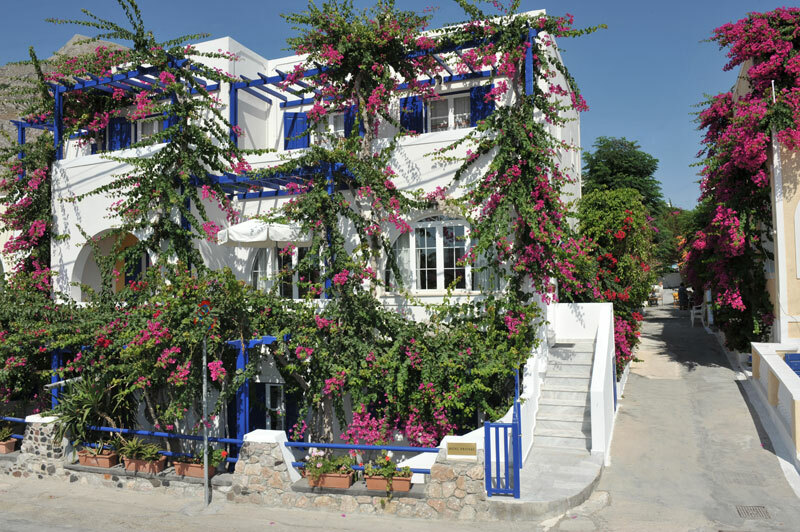 It is built 1992 in the traditional Cycladic architecture and furnished in the traditional local style.It is renovated 2004.It has 15 fresh and comfortable rooms.Above all fresh and clean rooms. 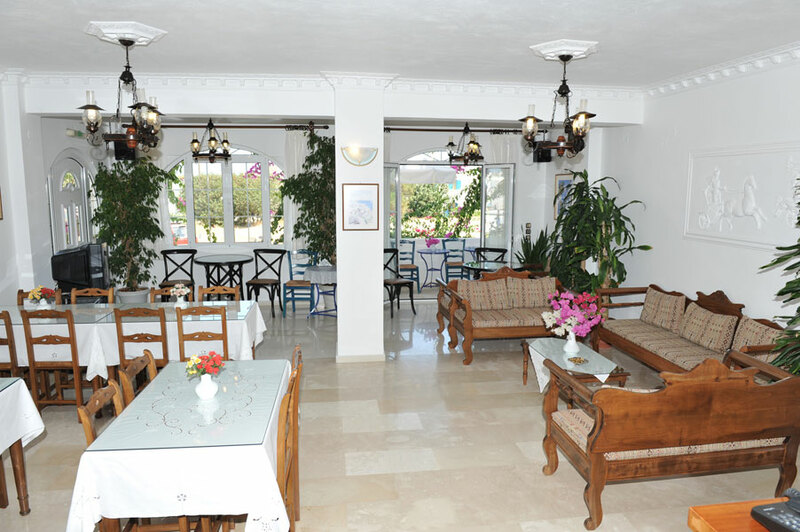 It has the benefits of a family hotel with good facilities, and it is characterised by the friendly service in a family atmosphere and above all the brilliant cleanliness. 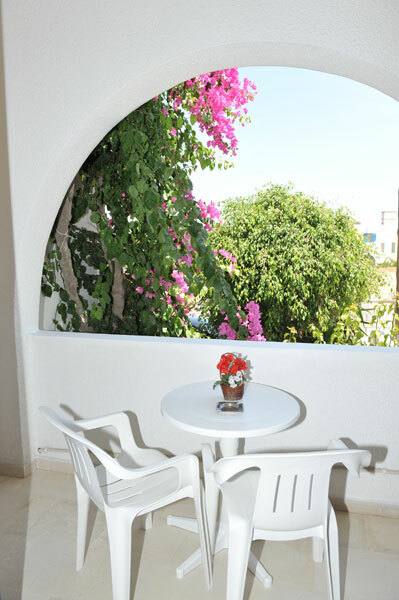 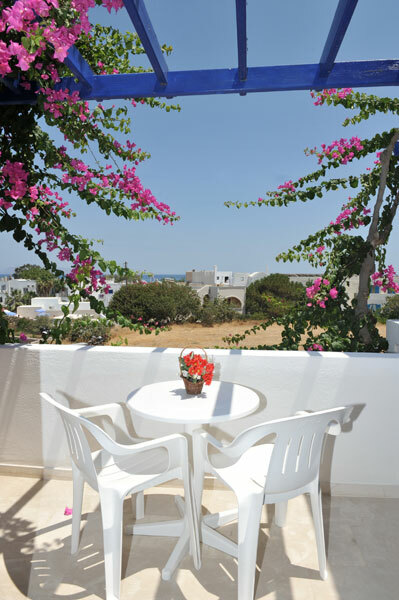 All rooms have private bathroom with shower,hair dryer, direct telephone, refrigerator, air-conditioning and balcony or terrace surrounded by flowers and bougainvillaeas.The hotel has reception with safe, breakfast room and bar with SAT-TV.